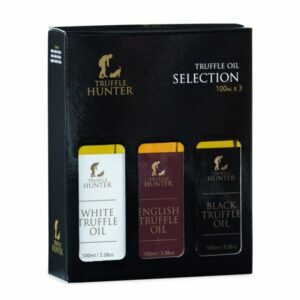 This complete truffle hamper comes in a luxury presentation box with 7 wonderful truffle products – an amazing collection that will make the ultimate foodie gift for any gourmet. Use the oil in small quantities. Think of it as a flavouring or seasoning, drizzling it over finished dishes – do not pour it. Do not cook with the oil. Add it to cooked dishes or sauces at the end of cooking just before serving as heat adulterates the flavour. Some typical uses for truffle oil – see the “Truffle Oil Recipe Videos” tab for more ideas and details. 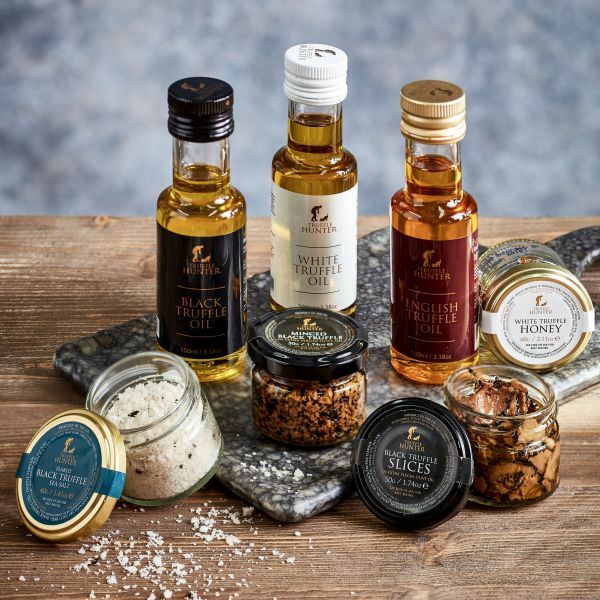 To get the best from your black truffle salt, use it as a finishing salt adding it at the end of cooking. Potato dishes – including chips, mashed or baked potato. Eggs – scrambled, omelette etc.